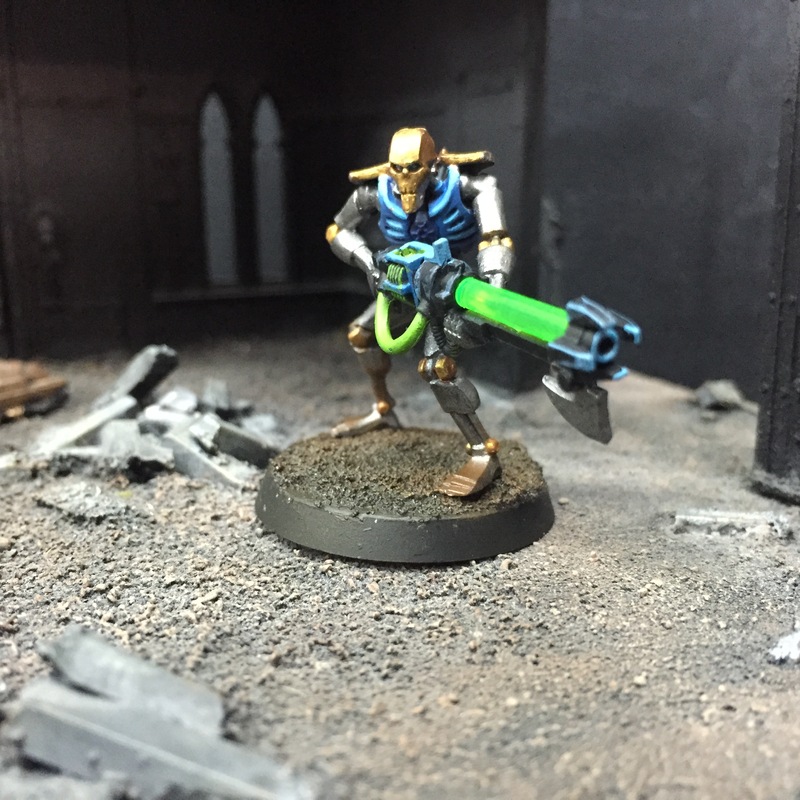 For the third week, I focused on painting the base and gun for the Necrons warrior models. I purposely painted some parts of the gun blue on the edges and front. This is to make it look the design of the gun is part of the warrior’s dynasty group. The base for the models is made to look ground dirt. Throughout the whole process of making the Necron warrior, I felt that assembling and shading the models are difficult. I tend to have difficulty imagining objects in 3D so I can’t think of which side is the shadow or highlight. But other than that, painting it was easy. You just have to make sure you’re painting all the surfaces neatly. Next week, I will be painting the Overlord and Canoptek Scarabs and assembling Triarch Stalker.